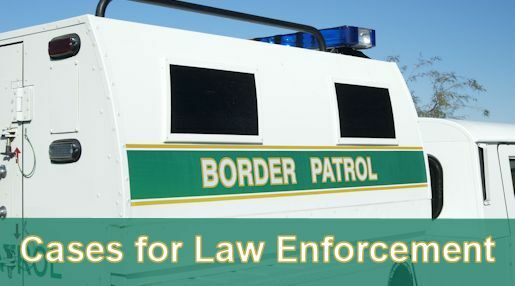 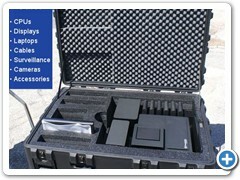 OmniCase Takes Border Security Seriously! 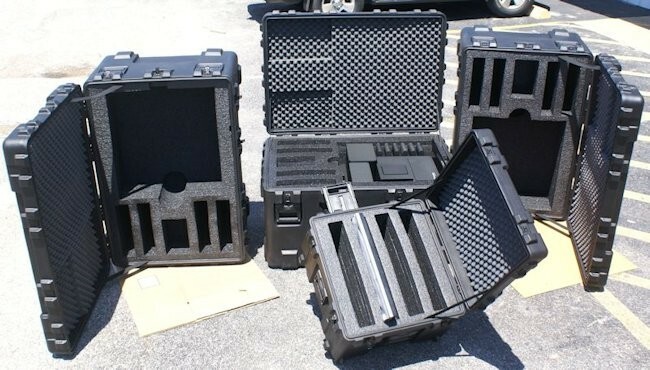 OmniCase continually develops and refines case technologies to help Border Patrol and other law enforcement agencies to more easily and safely transport, carry and protect mission critical weapons and gear from damage while operating in rough terrain and hostile environments. 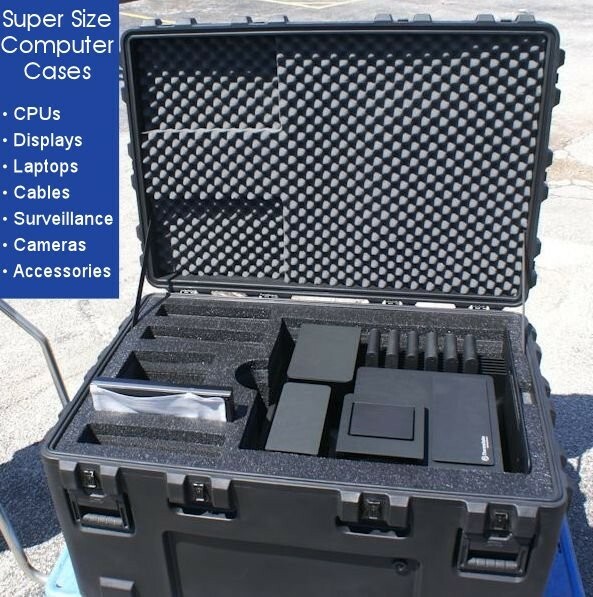 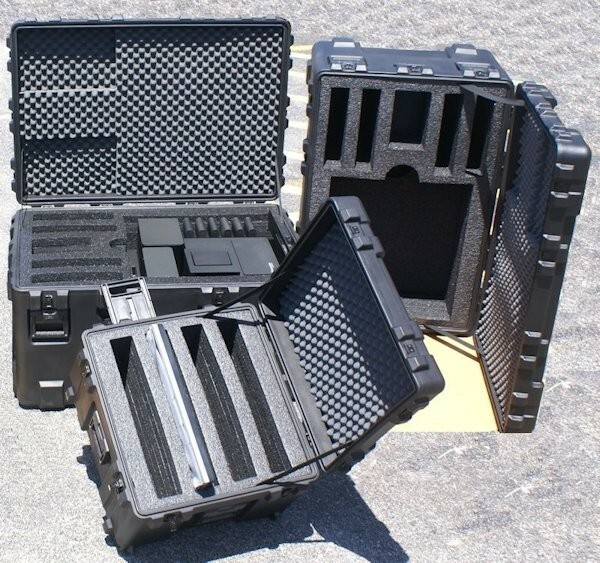 Look to OmniCase to design and manufacture your custom weapon and riot gear cases, as well as cases for mobile computing, surveillance and all other portable field-deployable equipment. 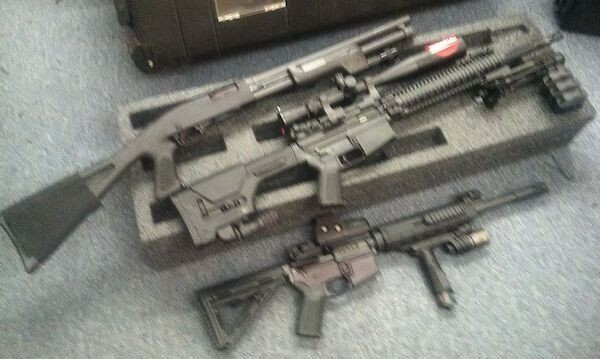 It just doesn't get better! 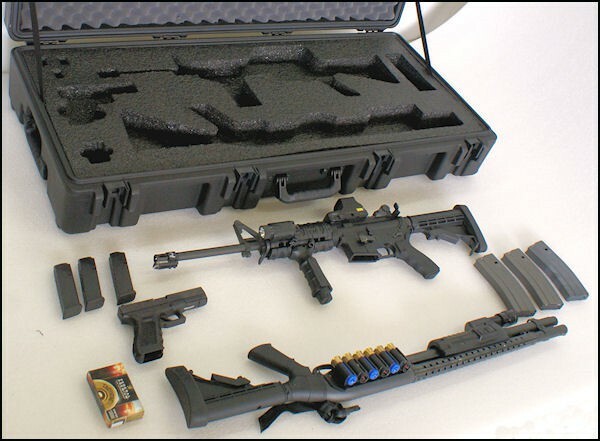 OmniCase designs and manufacturers custom cases for law enforcement organizations including police departments, FBI, Homeland Security, Border Security units, military armed forces, SWAT teams and most other crime prevention department types. 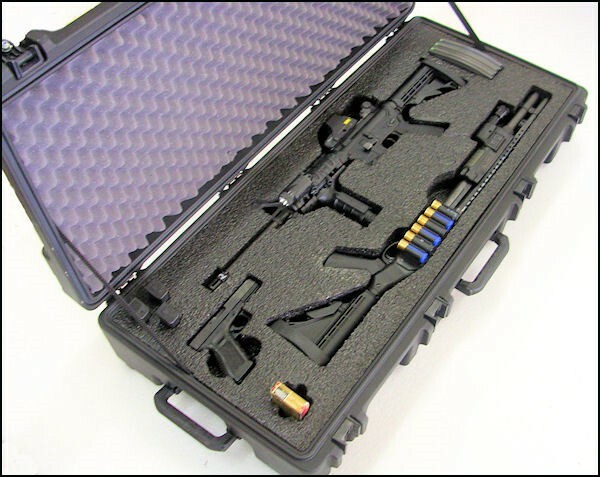 Omni cases protect all forms of weaponry, surveillance systems, computer systems, and riot gear and equipment and much more. 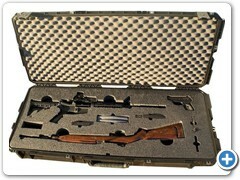 Many of our weapons case products are also ideal for gun collectors, personal protection advocates, hunters and marksmen. 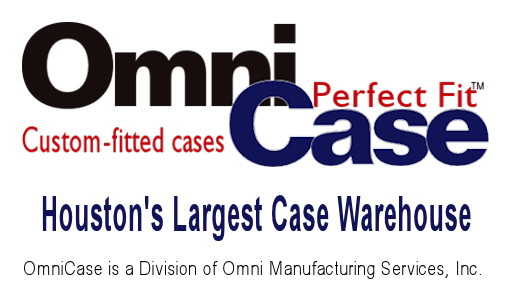 OmOmni cases begin with hard plastic shells molded from High Density Polyethylene. 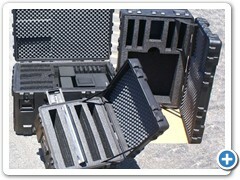 This is the same material specified by the United States Military for plastic containers required to withstand harsh field conditions. 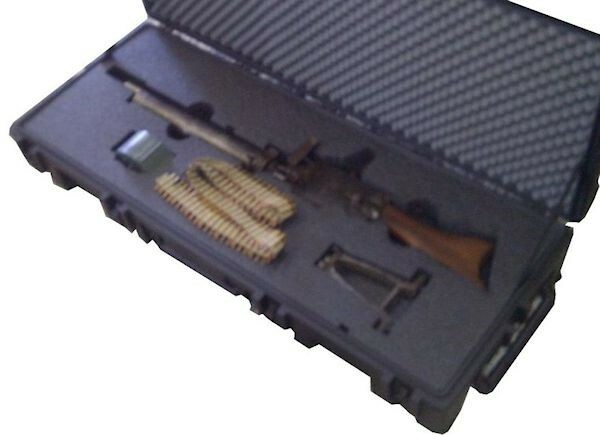 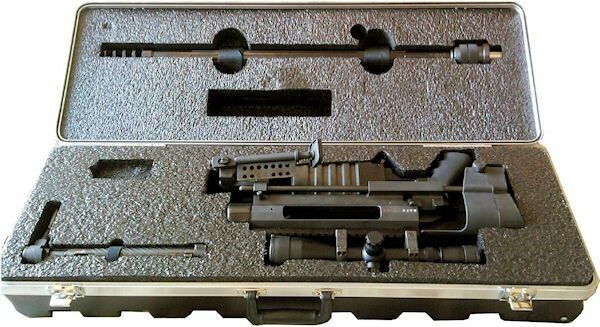 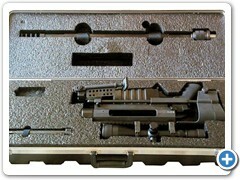 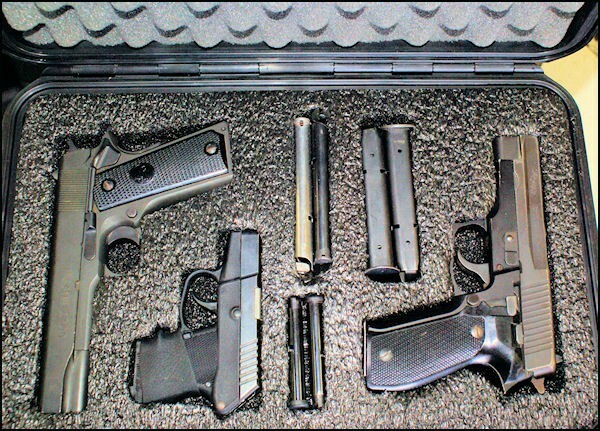 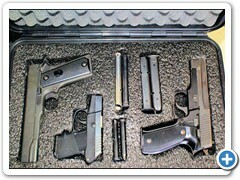 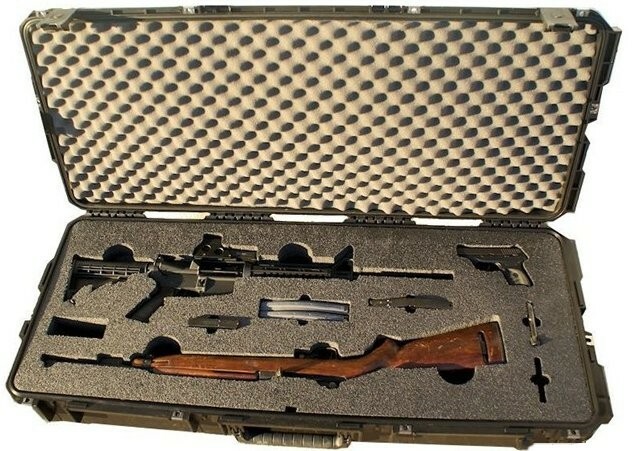 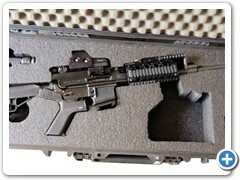 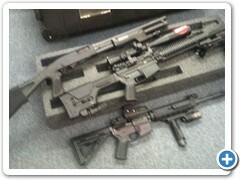 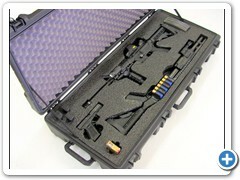 The cases are fitted with custom foam inserts that protect firearms, optics, ammo and mags. 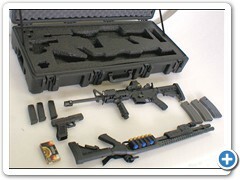 Additional accessories can be included in the layout of compartments. 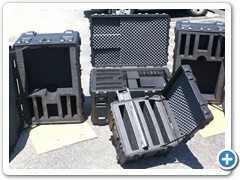 The high grade foam used is resistant to oils, fuels, solvents, acids, heat and cold. 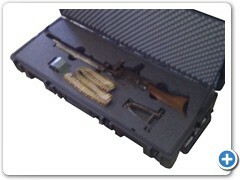 Several case models have telescoping handles and wheels for easy transport.